ATHLETE PROFILES: Barrett Christy (Pro Snowboarder), Rob Kingwill (Pro Snowboarder), Ben Dolenc (Pro Telemark Skier), Seth Morrison (Pro Skier), Jessica Sobolowski (Pro Skier), and Glen Plake (Pro Skier). In fifty-four years of capturing the worldwide flavor of alpine skiing and kindred adventure sports, the Warren Miller crew has traveled to every corner of the globe. This season’s journey offers another prismatic view of winter sports, taking the viewer on a voyage inside the soul of skiing. Ports of call include the treeless snowfields of Portillo, Chile; the savage couloirs of Chamonix, France; the sheer descents of the Chugach Range in Alaska; and the powder paradise of Bella Coola, British Columbia. A backwater romp through the wilds of Morocco provides a taste of the exotic, while a visit to a very unfrozen lake in Helena, Montana, is no less strange. As Doug Coombs remarks to his friends in a Chamonix bar after a long day of athletic challenges, “It’s not about the destination, it’s about the journey.” True, but there’s also a lot to be said for the destinations along the trail of Warren Miller’s JOURNEY. Collector’s Edition Deluxe DVD. Program running time +/- 98 minutes. Released in 2003. 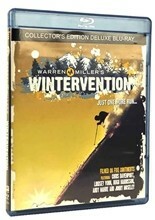 Written and narrated by Warren Miller.